If you Can Afford To Rent-You Can Afford To Buy! Are Closing Costs for a Refinance Tax Deductible? What exactly is a mortgage versus a refinancing of your home? A mortgage is a legally bound, interest bearing contract between a home owner and a bank or other creditor. When taking out a mortgage on your home, you get a loan on your house/property. During the course of the mortgage you are making monthly payments to the creditor. During that time, the creditor will hold the title or deed of your house or property. 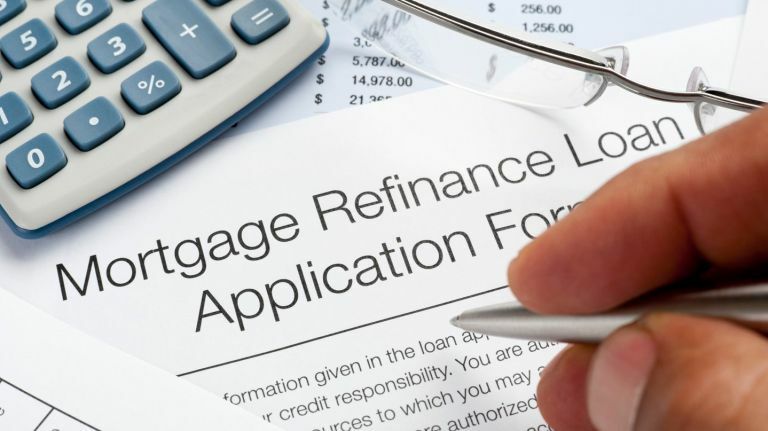 What does it mean to refinance? A refinance is a new mortgage to replace the other one. These are made to get a better interest rate or loan term. The original loan is paid off by the creditor of the refinance and a new loan is created. Refinancing a mortgage requires a tricky balancing act. On one hand, a home refinance will almost certainly save you a percent of the total mortgage, possibly adding up to thousands of dollars over the years. On the other hand, refinancing requires some kind of upfront push. In the short term, it is a potentially expensive switch, regardless of the potential savings over the course of the next few years. There is another cost involved with mortgages and refinancing that often goes unnoticed or undetermined until the process of the mortgage or refinance loan has begun. These are costs related to closing. For borrowers, closing fees are an almost inevitable part of the lending process if the property is deemed a personal property. Closing costs can be considered business operating expenses and can be written off. As we are coming upon tax season, some homeowners are wondering if the closing costs on a mortgage or refinance loan can be tax deductible. The short answer is yes, but not always to the degree one would hope, and this may not be the case for every home owner. The biggest tax deduction is usually the interest that you must pay on your loan. There are certain criteria that must be met in order to claim these deductions. The loan must be for your primary residence or secondary home. Home interest tax deductions are not applied to owners utilizing the property as an active rental. In general, the same tax deductions are available when you’re refinancing a mortgage as when you’re taking out a mortgage to buy a home. The best advice would be given by your CPA on the best course of action to maximize your tax deductions. We want to hear from you and do everything we can to be of assistance to you! I hereby give consent to be contacted by Fellowship Home Loans or its agents at the number provided regardless of any Do-Not-Call (DNC) list status of such number. Telephone provider charges may apply. Consent may be revoked at any time and is not required for service. I worked with Bryan Duarte from Fellowship Home Loans and he has been outstanding from the 1st conversation! I had specific goals in mind when refinancing and Bryan was able to deliver despite all the variables that come with refinancing. Bryan was in constant communication and never failed to follow up. Ultimately he made sure in the end I was happy with the outcome and I truly appreciated that. Our goal is to lean on our Christian values to deliver the American Dream to as many wonderful people as possible. Home ownership can be a difficult process, we want your experience to be simple and easy! Get a personalized loan consult with one of our experts today. We just need some quick information to get started. Not Available in New York. My choice was simple. I wanted to support a Christian organization. I contacted Fellowship home loans and not only was I able to support a Christian company they had the lowest rate, lowest closing costs and got my loan closed faster than any other mortgage I have even done. Thank you Mike, Brian and the Fellowship team! I heard Fellowship Home on the radio and I wasn’t expecting they would be able to help me lower my rate because my current bank couldn’t do anything. I was shocked when they said they could do the loan AND pay off some of my credit cards as well. I was waiting for something to go wrong with the process because of my past experiences with mortgage companies but they did everything they said they would do. Simply amazing! I didn’t have great credit and had been getting the run around from banks when I had tried to lower the rate of my mortgage. I had heard Mike and Brian on the radio for years and God was telling me to try with them because they would be straight with me even if I didn’t qualify. Not only did I get a great rate, but I got 2 months off from paying my mortgage and $1,000 back at closing. I will never forget what they did for me. My sister had refinanced with Mike and Brian so I gave them a call when I was looking to purchase my first home. I was very unfamiliar with the process of course and very nervous of course. They held my hand and walked me through the process and I was a homeowner just a few weeks later. They truly helped me achieve the American dream of home ownership! This site is not available in New York. No mortgage loan applications for properties located in the state of New York will be accepted through this site through Fellowship or Fellowship Home Loans. Fellowship Home is authorized to conduct business in AL, CA, CO, CT, DC, DE, FL, GA, IN, MA, ME, MI, MT, NC, OR, PA, TN, TX and WA. Fellowship Home Loan is authorized to conduct business in OH. Fellowship Home Loans is authorized to conduct business in AL, AR, AZ, CA, CO, CT, DC, DE, FL, IA, ID, IL, IN, KS, KY, MA, ME, MD, MI, MN, MS, MT, NC, ND, NH, NJ, NM, OK, PA, SC, SD, TN, TX, VT, WA, WI and WY.